I put it on my newsletter and up on TILT (my online magazine? Whatever that is) but I left my job at Open Library this week. This is bittersweet since I left because I could not get the hours to pay me for all the work that needs doing there. I was paid for ten, looking for (at least) twenty. 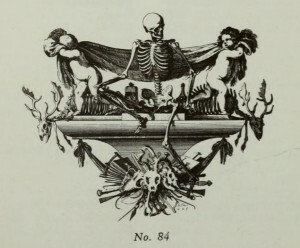 Like a neat-looking bookplate, and then doing some research to figure out whose it was. And learning a thing as a result. 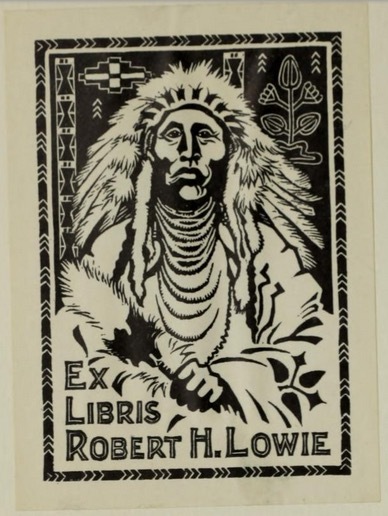 Here is a bookplate that pointed me towards knowing more about Robert Lowie an early social anthropologist. The book it’s in is actually a book about old books and so has some great illustrations. I’ll also miss learning more about librarianship as it was once practiced. This Union class-list of the libraries of the Library and Library Assistants’ Associations looks fascinating and yet I’m not even totally sure what it is. Its companion book, the Bibliography of library economy is 400 pages of Reader’s Guide to Periodical Literature type of things only for libraries. I’d almost be reading it for fun but I couldn’t help picking out a few keywords and browsing. As library topics remain prevalent in the news, everyone likes to thing that being good at Google makes them a proto-librarian. But the longstanding traditions of this institution are more than just finding things. It’s so much more about linking people to the information they want. Every book its reader. Every reader their book. I’m 100% down with digital librarianship being an efficient and effective way to do this, I just need to orient myself to doing that work in more of an actual digital library.